My Weather Indicator is an appindicator that displays the current weather on the Unity panel. 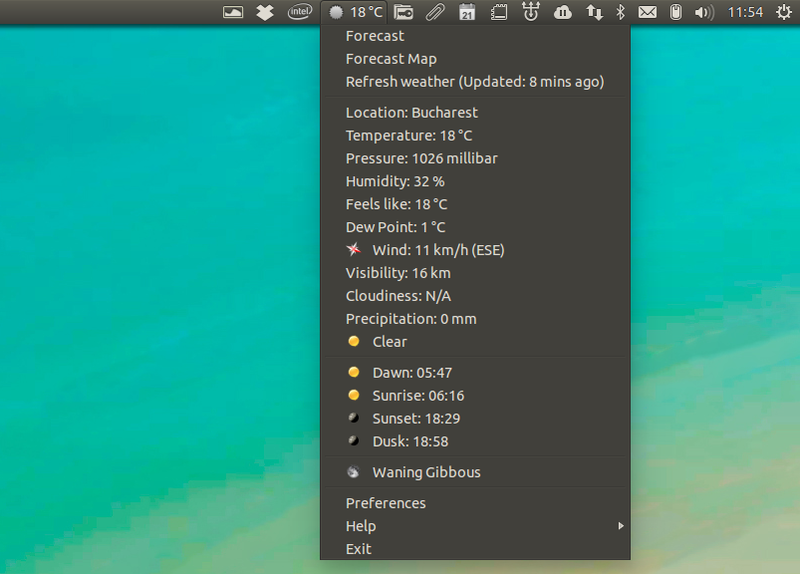 The appindicator can also display a 5-day forecast, a desktop widget and supports four weather services: OpenWeatherMap, Yahoo, Wunderground and World Weather Online. Variety is an application that comes with an AppIndicator but since you basically only have to configure it once and after that you'll only need to use the AppIndicator, I'll list it here. Variety is a cool wallpaper changer that automatically downloads and changes your wallpaper on a given interval. Using it, you'll get cool, fresh wallpapers each day. From the AppIndicator you can quickly switch to the next (random) wallpaper or copy the wallpaper to favourites, for later use. 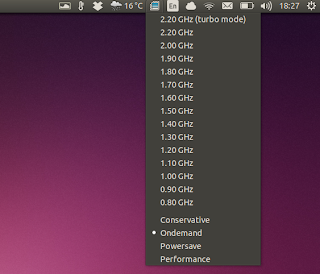 More AppIndicators on WebUpd8 and on AskUbuntu. 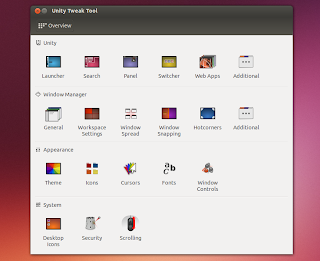 Unity Tweak Tool allows users to change various Unity settings such as auto-hide bahavior, window snapping and hot corners, tweak Dash, the Unity Launcher or HUD, change the GTK or icon theme, change the font face or size, move the window controls to the right and much more. As you probably know, by default Dash shows all the recently accessed files as well as other files found on your filesystem. By selecting Security & Privacy from System Settings, you can choose what file types can show up in Dash, exclude various applications or folders/partitions from showing up in Dash and there's also an option to clear usage data. More on disabling Dash (search) plugins, HERE. 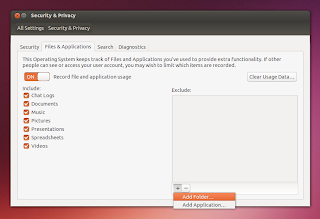 Another way to deal with privacy in Ubuntu 13.10 is to use the Privacy Indicator, a tool hat lets you quickly enable/disable Zeitgeist (activity logging) or online search results from showing up in Dash, clear the Zeitgeist log or recent files (which show up in the Nautilus "Recent" sidebar item for instance). 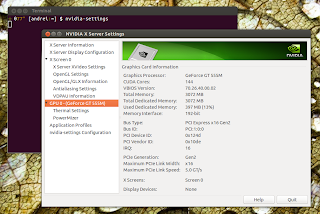 The Ubuntu developers have worked to support Hybrid graphics in Ubuntu 13.10 (and 12.04 LTS). Below you'll find instructions on how to set this up. Nvidia Optimus: unfortunately, the Nvidia Linux graphics drivers don't yet fully support Optimus - more on this subject, HERE. 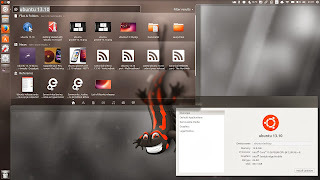 Ubuntu 13.10 (Saucy Salamander) ships with a new package called "nvidia-prime" which enables the Nvidia graphics card on Optimus systems (which by default use the integrated Intel graphics chip). By using the instructions below, the Nvidia card will always be in use, so there's no way to switch it off to save power. Because of this, the laptop will consume more power and possibly overheat - in my case, the laptop gets really hot and for this reason I'm not using this solution but things may work better for your laptop (and if not, you can easily revert the changes). Unfortunately, that's not the only issue. You may also experience screen tearing and hotplug won't work so if you want to use multiple monitors, you'll have to manually set them up in xorg.conf. The advantages are that you'll be able to play games that aren't supported by the Intel graphics, use VDPAU-enabled media players, etc. And finally, reboot (restarting X isn't enough). AMD Hybrid graphics: I didn't test this because I don't have a system with AMD graphics, but according to the HybridGraphics Ubuntu wiki page, there aren't any known issues, so I assume that everything works properly (again, I'm not sure since I can't test it!). And then reboot the system (restarting X isn't enough). There are two tools you can use to improve your laptop's battery life: laptop-mode-tools or TLP. Both try to achieve the same thing, but from what I've read, TLP seems to save a bit more power. 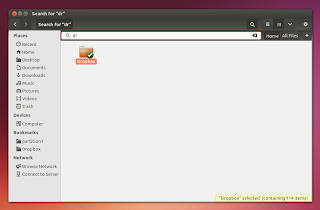 However, TLP is only available in a PPA so if you don't like adding PPAs, install laptop-mode-tools. Important note: don't install both laptop-mode-tools and TLP! No configuration is needed for either TLP or laptop-mode-tools. Another way to save power and prevent your laptop from overheating (the tool also allows running apps or games on the discrete graphics card on demand, using the "optirun" command - see below) is Bumblebee. Bumblebee is a tool for laptops that use Nvidia Optimus, that disables the Nvidia card when not in use. Note: if you plan on using the hybrid graphics solution under step 4 for Nvidia Optimus, don't install Bumblebee! replacing "APP-EXECUTABLE" with the application (or game) executable. 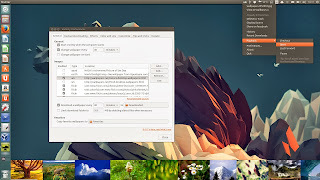 Encrypted DVD playback: the Medibuntu repository no longer exists and while most packages in the archive are obsolete or unnecessary because most are now in the official Ubuntu repository or have better equivalents, livdvdcss is still required for playing encrypted DVDs. 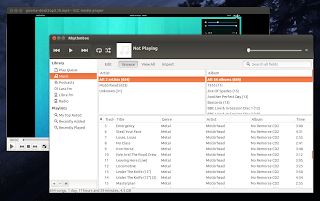 Two popular applications: Rhythmbox and VLC, haven't been updated to the latest version in Ubuntu 13.10. If you want to install the latest version for these apps, you can use PPAs. Please note that by upgrading Rhythmbox, the plugins in the Rhythmbox third-party plugins PPA will stop working. The plugins Rhythmbox ships with will obviously work. The type-ahead find feature was remove from Nautilus starting with version 3.6. Later versions perform a search in the current directory and all its subdirectories when you start typing a file name. And this makes it unusable at times so if you find this behavior annoying, you can install Nautilus patched to allow disabling recursive search (you can easily enable it back if you want). To use it, select a file (picture, text or document, sound file and so on) and press the SPACE key to preview that file. You can close the preview either by clicking the SPACE key again or clicking the window close button. Now it's your turn. 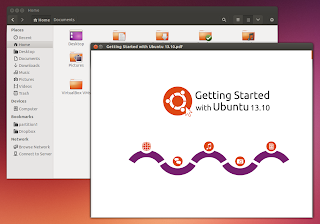 What are the first things you install or tweak after a fresh Ubuntu installation?